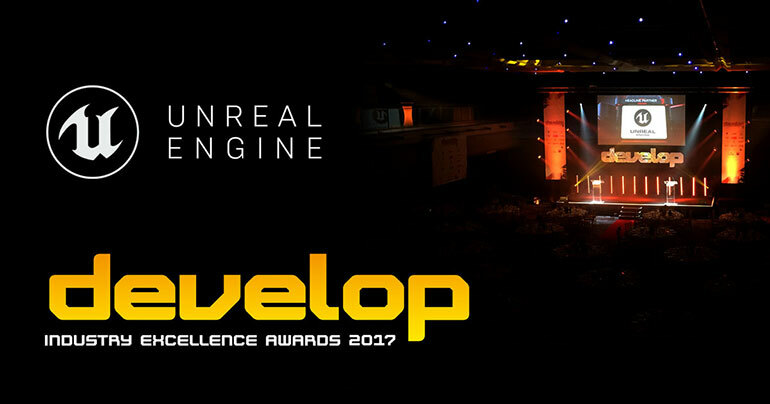 Unreal Engine has earned top honors in the ‘Best Engine’ category at the prestigious Develop Awards, and we couldn’t be happier about it. 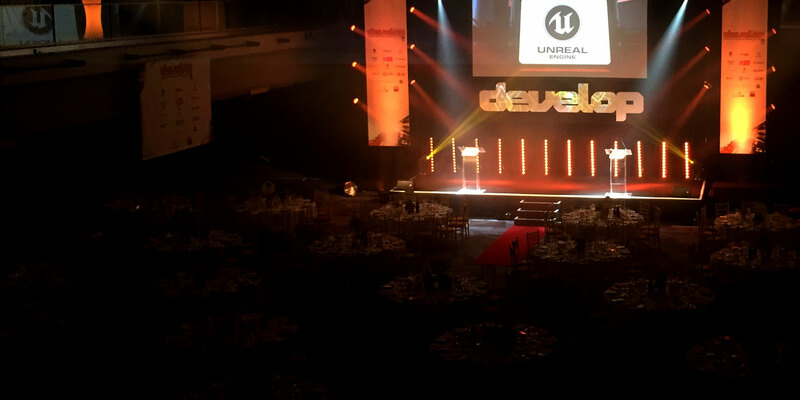 All of us at Epic would like to take this opportunity to extend a sincere thanks to this year’s Develop Award judges, and to all of our peers in the industry, for helping us get to where we are today with Unreal Engine 4. In the 12 months since earning the ‘Best Engine’ Award in 2016, we’ve been working to consistently deliver tool and feature improvements to the Unreal development community through the 4.13, 4.14, 4.15 and 4.16 releases while also pointing to the future through technology demonstrations that highlight the far-reaching impact Unreal Engine is having in the worlds of games, film, AR, VR, product design and beyond. From shaping the award-winning real-time cinematography performance at SIGGRAPH 2016 to pioneering real-time short film and AR techniques during GDC 2017, we hope that our passion for quality and innovation has helped Unreal developers more quickly realize their own vision. Additional highlights over the past year also include the development and release of Robo Recall, the introduction of AR for iOS and VR for Mac during WWDC 2017 and the reveal of the 100% real-time Fortnite cinematic launch trailer, crafted entirely in Unreal Engine 4 to demonstrate the supercharging of CG animation pipelines with game engine technology. No matter the project or platform, the ever-expanding Unreal Engine game development community continues to thrive, with nearly 90 developers showcasing their Unreal-powered projects at E3 2017 - including some of the most talked about titles of the show, such as Dragon Ball FighterZ, Days Gone, Sea of Thieves, LawBreakers, and PLAYERUNKNOWN’S BATTLEGROUNDS. Plus, with consistent efforts to find, fund and reward talent through original initiatives like Unreal Dev Grants and partner programs with NVIDIA, Xsolla Capital and Wargaming, Unreal developers are poised to continue making an enormous impact on the industry. The recent announcement of Epic’s inclusion in the Disney Accelerator program signals how Unreal technology and our industry-leading partners are empowering today’s developers to define the future of business and entertainment. Moving forward, the first-ever Unreal Engine SIGGRAPH User Group will highlight the use of Unreal beyond games and reveal exciting new workflows that will accelerate this growth even further. Of course, Unreal Engine is free to download and use, with full source code and everything you need to build and ship included out of the box. If you haven’t tried it out yet, join us! Learn more and download the tools here.